Sea smoke filters the morning sun on a frigid winter morning in Portland, Maine as Spring Point Ledge Lighthouse guards the icy waters of Portland Harbor. Sea smoke, also known as frost smoke or steam fog, is formed when very cold air moves over warmer water. 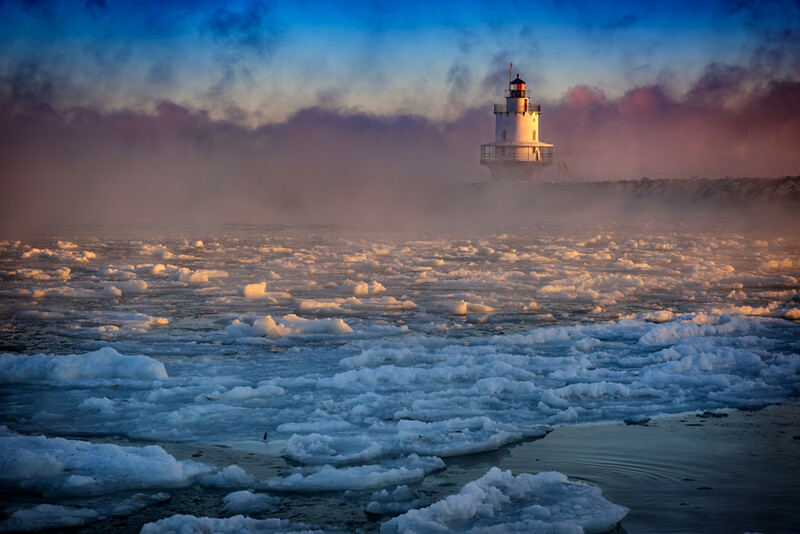 On this day, the air temperature was -4°F, which caused a dramatic amount of sea smoke to form and nearly engulf Spring Point Ledge Lighthouse, located at the entrance to Portland Harbor in Portland Maine.